Want to grow so many strawberries in so little space? 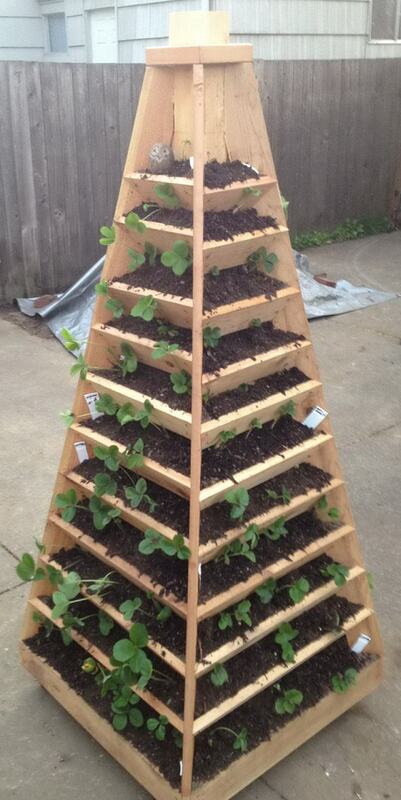 Try one of these vertical DIY ideas for growing strawberries! 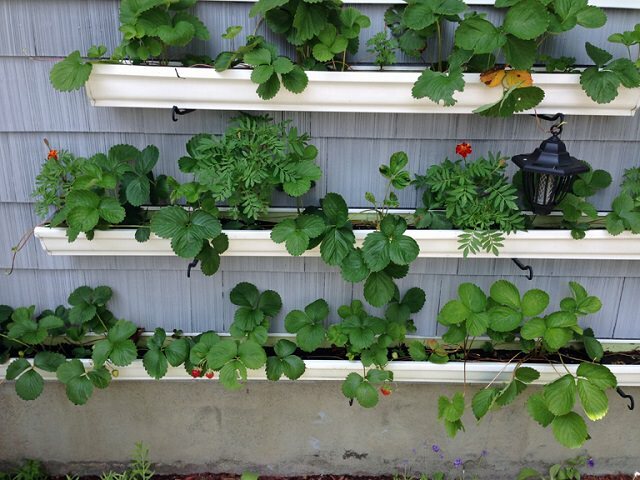 Ordinary PVC pipes are used for growing tons of strawberry plants in a small space, unbelievable. 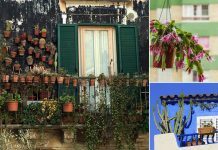 When you lack an appropriate garden space or yard, a vertical gardening idea like this can be tried. 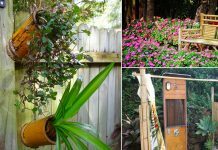 All you need for this DIY idea is a few PVC pipes, a drilling machine, and of course, some gardening essentials. Just keep in mind that vertical units require careful watering, so the last thing you would want is for them to dry out. The tutorial is available here! Go vertical, if you lack enough room to plant. A strawberry tower planter gives you the additional planting and growing space you need to showcase your love for this much-loved fruit. 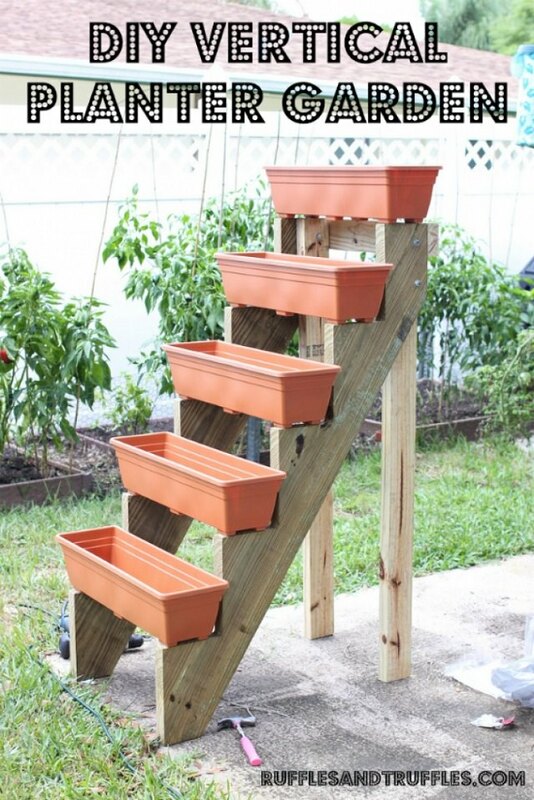 It’s an unusual and functional DIY garden project you can try. See the step by step DIY article here! 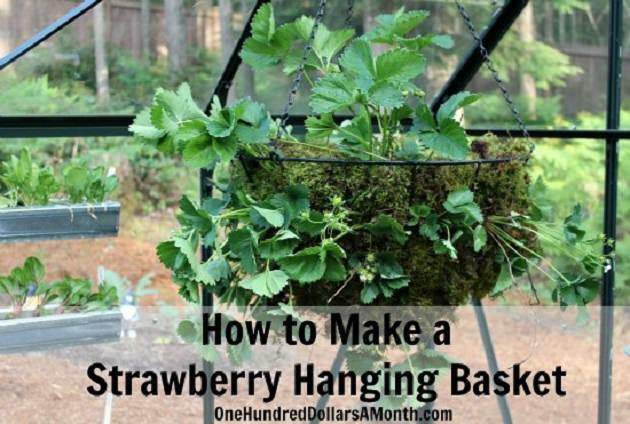 Growing strawberries in hanging baskets is possible and easy enough. An average-sized basket can fit a few strawberry plants. So, all you have to do is fill it up with the right rich potting soil and water regularly. That’s it! Check out the DIY tutorial on this site. 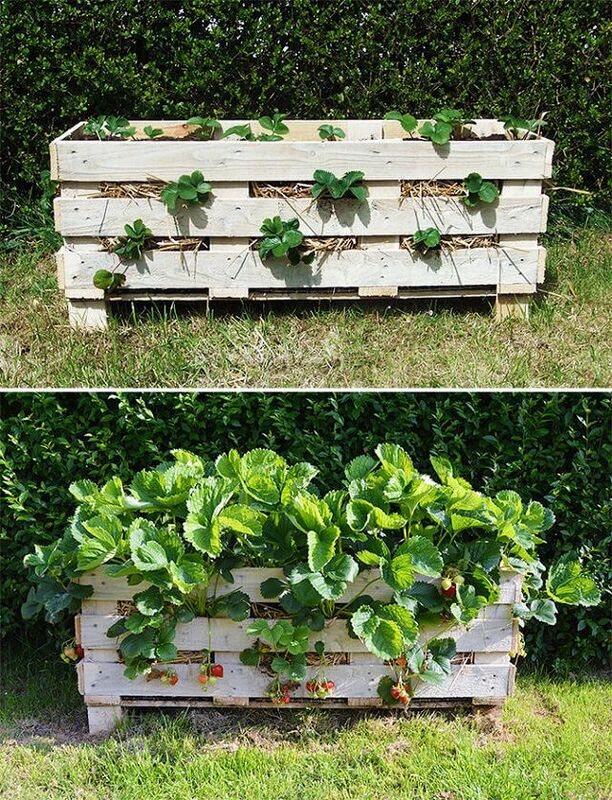 A strawberry pallet planter is a clever idea to grow plants like strawberries that spread through runners; it also improves the productivity of this fruit. Pallets are cheap and sturdy; you can use them to create a raised bed like structure. Must see the tutorial post here! 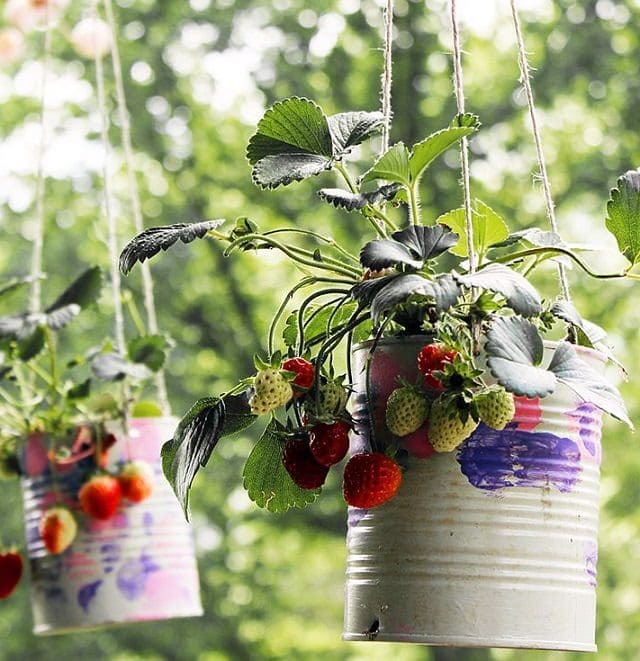 Growing strawberries up in the air in hanging containers is a simple and easy way to grow a lot of plants in a little to no space. Choose some big tin cans as a planter, also some cool color paint. This perfect idea of recycling used TIN CANS can be found here. A strawberry tower with an in-built reservoir is an excellent and unique way to grow juicy and fresh strawberries when you’re short of space. Easy to maintain, it is made of an array of plastic pots stacked up one on top of each other in the form of a tower. Also, the inbuilt reservoir makes watering a lot easier. This fantastic step by step DIY idea is curated from A Piece of Rainbow. Strawberries are super easy fruits to grow in gutters; it also saves them from diseases like crown rot and fruit rot. Also, this you can grow so many plants. See the step by step DIY idea with pictures here. 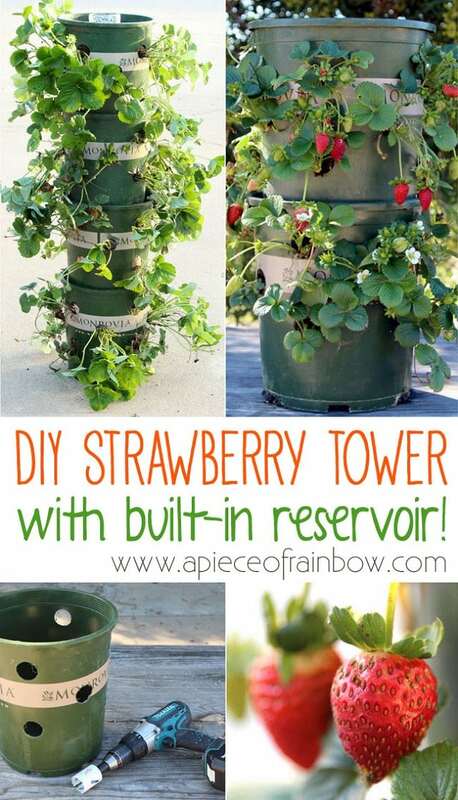 Not only the strawberries but you can also grow vegetables and herbs following this smart idea. You will need some help with the assembly process, though, as this is one of those DIY ideas for growing strawberries that need considerable effort. Once the structure is complete, fill up the planter boxes with the correct potting soil, seedlings and then watch them grow. The step by step article is available here. 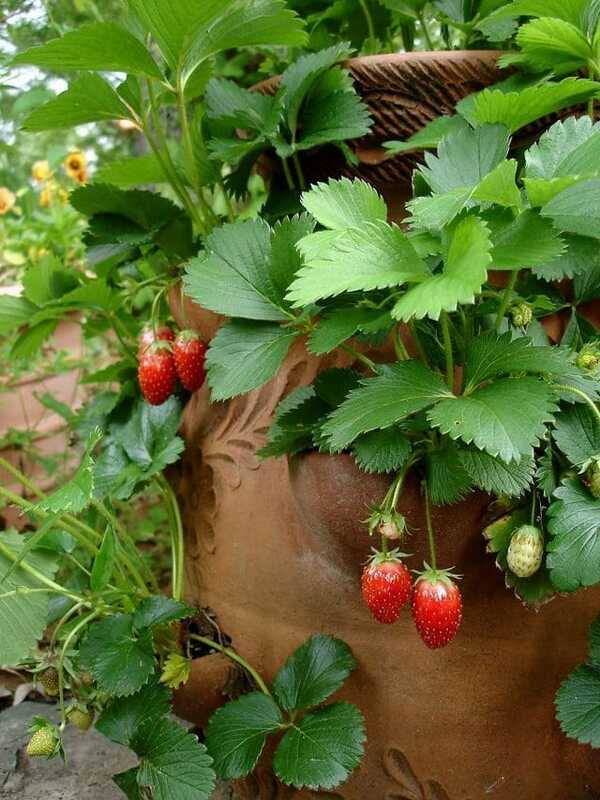 A strawberry jar is a fun way to plant strawberries. After all, what is more, appealing than a nicely painted jar brimming with lush, green suckers and deep red berries. The one thing that makes these jars unique is that they have holes on their sides in addition to the top. This facilitates easy watering and proper care. To increase variety, plant another ornamental or edible plant, such as thyme or cilantro along with the strawberries, if you like. 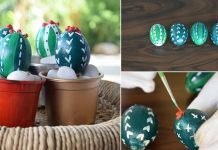 Click here to learn more this DIY idea.